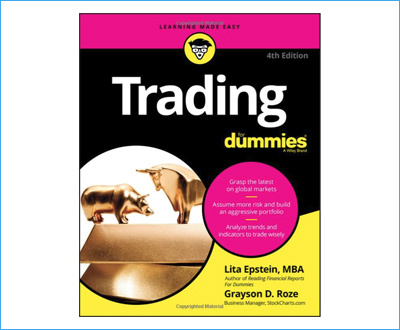 We’ll admit it: when it comes to stocks and trading, we pretty much are dummies, so 4th Edition of “Trading for Dummies” was certainly designed with us in mind. We got a lot from this book, but we also have a few critiques and suggestions for would-be readers. Check out our Trading for Dummies book review below to see if it is worth your time and money. The book was penned by Lita Epstein, MBA, and Grayson Roze. Epstein has authored dozens of trading books, as well as other “Dummies” series books. She certainly has a knack for providing the “bite-sized” pieces of information they’re known for. Roze is a veteran of the financial service industry and an expert in tensile trading. Suffice it to say: this book has all the “street cred” it needs. Clocking in at a healthy 400 pages, it’s still a fairly quick read–especially compared to some of the mammoth tomes about investing out there. A good deal of the first section of the book is devoted to observing market behavior, as well as understanding and analyzing trends and indicators. Seasoned traders might skim this information, but it’s always good to understand the fundamentals. We, in particular, benefited from the book’s thorough analysis of the major stock exchanges and found actionable information on selecting the right type of brokerage firm. 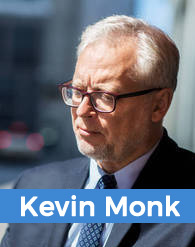 The book gets meatier as it progresses–Chapter 15 really begins to delve into the “how-to” stuff–i.e., short-selling stocks, how to enter and exit trades, and navigating common regulatory pitfalls. Later chapters focus on the need for a personalized trading strategy that accounts for your strengths and limitations. There’s a lot to like in “Trading for Dummies.” For one, it’s hard to argue with a book that’s both this readable and this thorough–frankly, it’s a rare combination in this field of knowledge! “Trading for Dummies” works well as either an introductory or “refresher” course. Epstein and Roze provide sage advice on the risks of trading, which is much safer for beginners than jumping into an aggressive trading strategy right away; all traders would benefit from at least a quick perusal of the book. Furthermore, we enjoyed the helpful chapter on understanding global markets, which increase in importance every year. There isn’t much of a downside to this book; Roze and Epstein provide a plethora of valuable information in a fairly short space. Sometimes, however, that space is a little too short, leaving the reader with questions better answered by a more comprehensive book. Also, while this “Dummies” entry is a great resource for beginning daytraders (and those who feel a bit rusty), intermediate traders would probably enjoy more information on creating a more aggressive, higher-risk portfolio. If you’ve been trading with some success for more than a few years, we’d recommend looking for a higher-level book. If you love books as much as we do, you’re well aware that thrift stores and used bookstores are littered with copies of financial books–some good, some very bad. In stark contrast, “Trading for Dummies” is a handy guide that you’ll want to hang onto. We’d venture to say that a brand-new trader could find enough information in this book to last them through several years; after all, you don’t want to move to fast or get in over your head. Whether you’re a newbie or you just need to brush up on the fundamentals, there are very few books we’d recommend more highly than “Trading for Dummies.” It strikes the right balance between readability and utility. Feel free to comment or message us with any questions about the book. We’re excited to know if you found this review helpful, as well as your own thoughts on the 4th Edition of this “new classic” on trading. Buy low, sell high!